I would very much like a do over to this week!! The computer didn't want to work, had to have this very cute young man sit here in the office getting her back up and happy. I didn't feel good. Life just wasn't very good as far as I could see. Then this morning I remember the link party Deb has on her blog Jeremiah 29:11. How could I do a Fantastic Friday link when I didn't think it was all that fantastic? Well, go visit her and you will see because Deb will help you. I have never met her, but I think if I did I would come away feeling so happy inside. She loves the Lord and shares how God works in her life. I have told her how much she reminds me of my sister. I know if my sister had a blog it would follow along the same path. So maybe it's a bit selfish, but I think of Deb as my long lost sister. I have adopted her, but she doesn't know that!! This is my sister and her friend Maxine, who is now my friend. Sis is on your right as you look at the computer. Sometimes we just need to sit back and count our blessings, the flu will force you to do that!! There does not seem to be any words to describe the fun the kids had, so pictures will have to tell the story. At this point Zoe had no idea who the Harlem Globetrotters were.She just knew she was in for a fun night. Yah! it’s all about basketball and our team scores!! Thank you so much, who else wants to sign my ball? These guys are the greatest. Hum, Seth and Zoe look pretty tall themselves. Oh, I see he is bending over, that does make a difference. Thank you Globetrotters for a wonderful night of fun. I want you to meet my friend Linda, whom I call Rosieq and think that title fits her. I have not met Rosieq in person, I came to know her through our sewing forum. Her posts just bubble with so much excitement I could tell from reading them she is a real go getter. When I asked her if she would coordinate our group effort to lose weight, she jumped right in putting two teams together that are working hard to get in shape for summer. I have a feeling the view from her sewing room window might have something to do with the peace this lady has. Just had to share this because I love it. Rosieq (Linda) visiting Matanuska glacier in Alaska. Travel in a big part of their life since retirement, I think it surprised me when Linda said she plans to visit Egypt because that is a real sense of adventure. I agree with her that her inquisitiveness lends its self to her hobbies. She sews for her grandchildren everything from boxer shorts to beautiful dresses. She also makes quilts, knits, and crochets. Add to this her involvement in church activities and you have a very busy person. Using her own creativity Linda made these precious dress revamping a pattern from one of the big three. Leaving for my morning walk and dreading it as it is a cloudy, drizzly type of day, not the kind of day you want to walk. Having committed myself to a team to get in shape I felt I had no choice, I can’t let my team members down. Walking through the gate what do I spot? Little green buds on the lilac tree! I was so excited, guess it doesn’t take a lot to excite me but really, after all the snow, the cold and just plain old winter to see a hint of spring lifted my spirit. It put a spring in my step and I am thinking it won’t be long now before blooms appear and fill the air with the heavy sent of lilac. My hope is, if you are still deep in snow, just know one of these days you will see the little buds spring forth, right before your very eyes. I guess walking is not so bad after all. Have you ever hit a time when your creativity just seems to have up and left on it’s own, with no warning to you? A time when you really need to be turning out some new spring items and nothing will come to mind? When you just can’t seem to climb in the boat and float along enjoying what you are doing? Well, that is where I am today. Half in the tube and hanging on for dear life. I have pulled out every pattern and tried to match it up to fabric and still I am blank. There are times when the ideas seem to come so fast I can not keep up, wanting to start another project before the one I am working on is done. Afraid the great idea will escape me. So what do you do? How do you get those ideas flowing? or do you ever run into a creative blank? This is what I long for, in the boat and everything sailing along smooth. If it is a source of frustration for me I can only imagine how frustrating those instructions sheets that come with our patterns can be for a beginner. I think of the person determined to sew to save money or for enjoyment only to get confused, frustrated and think it is their lack of skill as to why they can’t follow a pattern. Well, it is not you!! For an example I will show a pattern instruction sheet from a 1980’s pattern. This is a pattern for a simple little dress with a pinafore. The pinafore was more detailed with ruffles and linings. The dress very simple with elastic through the top. Yet, you can see the print was small, the spaces filled with instruction, very detailed on how to make a casing. Even circles are used with drawings explaining an area that might be difficult to understand. The beginner had a better chance of success with these instructions. Good luck figuring out what they are telling you. Does it explain to press your seams? What about seam finish choices or even what a seam finish is? Do the people writing these instruction know how to sew? Have they tried to follow their instructions? I really don’t think so. 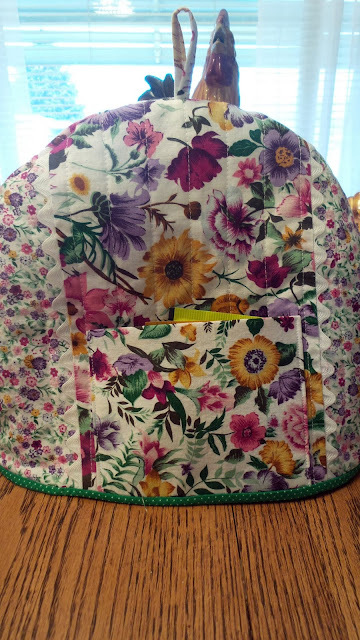 I want to encourage beginners to learn and so wish I could bundle everyone up and bring them to my sewing room. With the blog I am trying to do just that and hope I can make a difference to someone so wanting to dress their children in cute one of a kind garments. 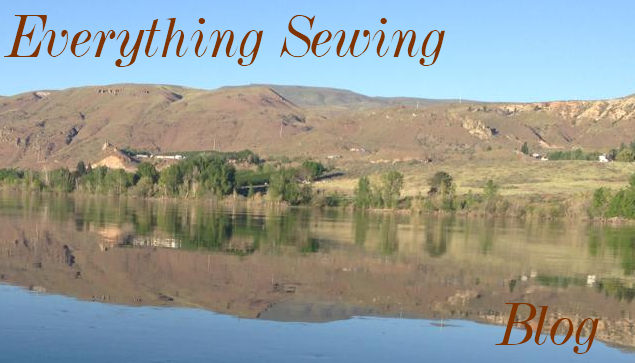 There is more expressions of frustration for this topic which you can read here on the sewing forum. I will share more about my methods of putting a garment together, for now, I just want you know, you are not alone. 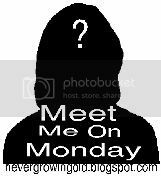 another fun Meet Me on Monday!! ﻿1. Did you watch the Superbowl? Yes, I sure did and it was a very good game. I never care that much who wins as long as it isn't one of those with scores like 40 to 0. I also was looking forward to cute commercials, but I don't think there were any of what I would call cute. Maybe it's age, but I did'nt understand half of them. 2. What is the last book you read? Loving history, the last book I read was "Samual Adams" very interesting and different from what I have thought all these years. That would be chocolate!!! With fluffy white frosting. I don't know, I am asleep!! I do play the keyboard, not good, but enjoy playing. I love February! It’s the month of love, it’s a short month and it usually is a transition from winter to spring . Sometime in this month we will get a super warm day, it will appear from no where but it will send the message that warmer day’s are ahead. It is the month we share love with each other. Sending flowers, cards and little gifts not because we have to but because we want to. Even the kids get involved sharing hearts and candies at their school parties. How we cherish those little gifts given us by friends, gifts that we use daily and therefore keep our friends close by. I always have Jerry close by as she was so sweet making and sending this heart pincushion. Karen’s little pouch she made for me to hold my special little tools and extra needles. That is kept in my sewing tote and I really don’t know now what I would do without it. I always have made something special for Zoe to wear to her school party. Last year I didn’t make anything thinking maybe she had outgrown having a special something. I was so wrong!! A few day’s before her school party she asked me where her valentine outfit was and I had to hurry and get something done for her. Lesson learned—this year the outfit is done and ready for delivery. My special gifts from friends. These mean so very much to me and I send a big thank you for thinking of me. Top for party day at school. The kids have a motto when it comes to clothes. They say “One of a kind” it makes them feel special to have something that is truly one of a kind. This top would also work for valentines day or any day. I know, I have to fix the straps as they are to long, but this gives me a starting point. so share some love it will be a gift that will last a lifetime. Oh, I hope you experts don’t laugh at me, just bare with me as I get a little excited about something as simple as embroidered dish towels. This is the first embroidery (except for smocking) that I have done in ages. I found these cute iron on designs which I didn’t think they even made any more and these flour sack type dish towels and went to work. I knew I needed more practice before I worked anymore on the pillowcases. Besides, I found the cutest blogs that have exchanges and maybe if I practice someone will let me play along on one of those. So here they are. Since the purchase of my embroidery machine I have started saving bits and pieces from sewing scraps. I never kept the tiny pieces before. Now a new world of appliqué was open to me and I found those tiny little pieces were very useful. A piece as small as an inch can be used when using machine embroidery, so having the right color of a snippet of fabric took on a new meaning. As the tiny bits and pieces started to pile up they became a real pain. I could not find what I wanted or even remember what I had available for a certain project. So this is the solution I have come up with for now and it seem to be working. I use little plastic baggies, sort the scraps by color or theme and put it in the bag. Then the bag goes into a container. Each time I am done with cutting out a project, I collect the pieces that can be used for appliqué put in a bag and file with the others. I admit I have a few of these containers filled with scraps. They are easy to store and have made searching for just the right piece of fabric easy.